Capturing Couture : Capturing Couture was founded by two working moms,with obsessive creative passion, spirited ambition,and a fearless hands on work ethic to make magic happen…Combining our talents of photography and fashion we’ve created a product collection fulfilling a market niche that has been, to this point, completely monochromatic. Our partnership celebrates our similarities and our differences, each piece in the collection an extension of ourselves…both *girly glam* and 'urban chic'. It’s time for the fashion and photography markets to merge, with the creation of the finest ‘ultra chic, totally couture accessory’ for anyone with a camera! (Read More). 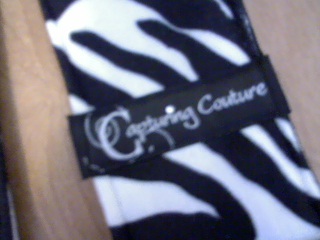 I received the Zebra Print camera strap from Capturing Couture to try and review. I have had other camera straps that was boring and had no style and seen them in stores and other places that was cheap made and over priced. Capturing Couture's camera straps and not only have personalities funky, cute, and wild, but are incredible made! this is some high quality stuff. the fabrics are soft, and easy to clean. the fabric on the inside is durable and comfy. there is a thick cushioned strap centered on the inside made from a soft velvet material that lays against your neck while taking photos. Anyone who has taken a ton of photos knows that that comes in handy and you want quality made materials. I was very impressed with the whole out come of this camera strap and will be buying from them in the future. 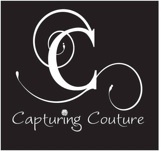 Capturing Couture has tons of different designs to choose from so you won't be disapointed in their products. ♥ I receive no monetary compensation for this review. I was provided a camera strap to try and give my honest opinion.